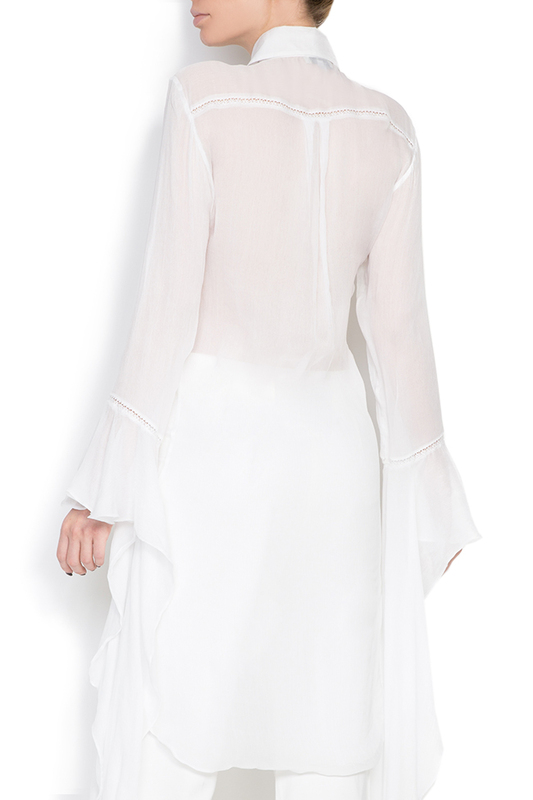 Dorin Negrau's shirt is cut from lightweight silk crepe de chine and has lace insertions. It has a curved hem and generous side splits that enhance the loose fit. The long length is perfect for styling as a tunic over tonal jeans.